One of the most basic problems in disaster management is the organization and distribution of supplies. Supply needs in a disaster situation change significantly according to the type and the phase of the disaster. The supply and demand structure is challenging due to the highly unpredictable nature of the time, location, and magnitude. Logistics planning in emergency medical situations involves dispatching needed commodities to the affected areas in a manner that ensures the right resources get to the right places at the right time. With disasters on the increase globally, it is important communities prepare for them. Disaster from a medical perspective is an imbalance of supply and demand. EMS must have systems and process in place to deal with the imbalance. The modular color-coded bag system uses the systems approach to disaster management. 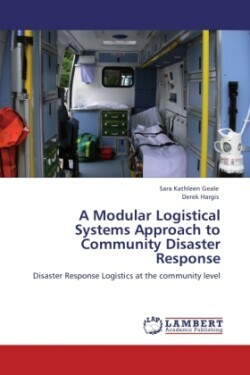 Prepacking of medical supplies in modular containers for rapid transfer to multiple victim emergencies can increase the effectiveness of EMS and has the potential to reduce morbidity and mortality through effective disaster response at the community level.